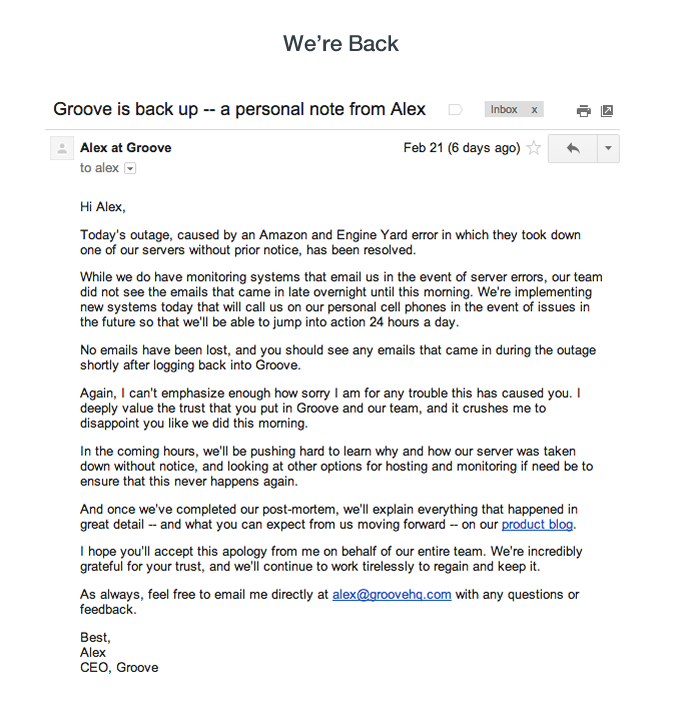 These email templates have made an impact on our bottom line, and now they’re yours. The first influencers who would help us successfully launch our blog. …they all started with an email. 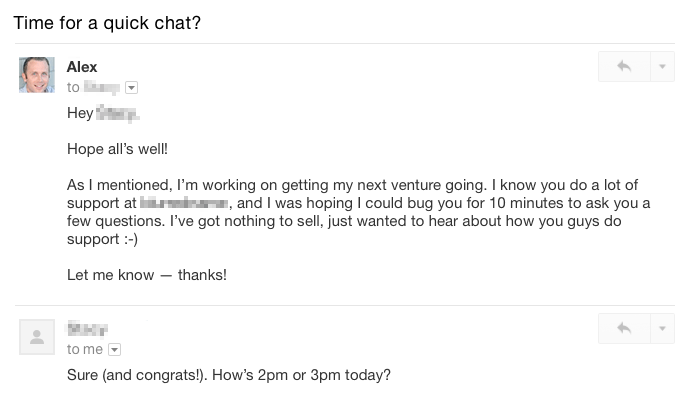 Of course, there’s more to getting what you want than simply sending emails. There’s plenty of background work. But the fact remains that asking for right things, the right way, can take you very, very far. 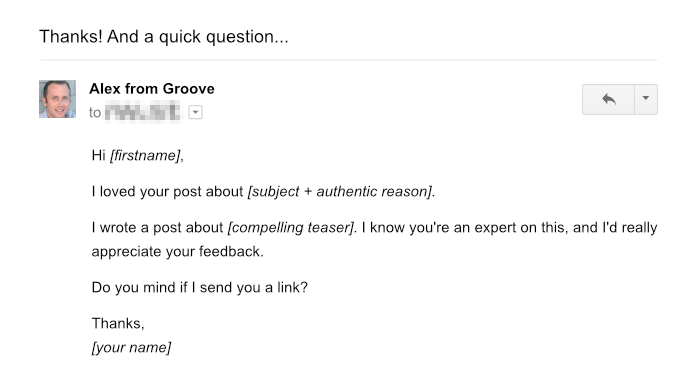 In preparing this post, I—and a couple of teammates—searched our “Sent” folders for dozens of keywords that would suggest we were emailing to make a request of someone, and we came up with thousands of results. 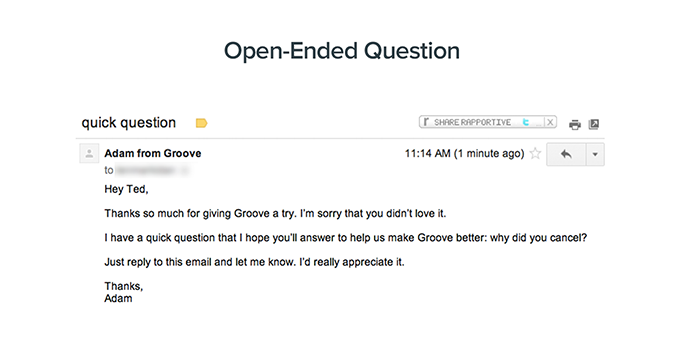 We’ve always tried to share as many of our successful emails as possible, not only for transparency’s sake, but because our content is that much more valuable when anyone reading it can simply take the email we used, drop it into their own email composer, do a bit of personalization, hit send, and achieve results. Today, I’m going to share our best scripts that have helped us with everything from marketing to partnerships to product development and more. Check out the screenshots of the scripts below, or, grab the word-for-word scripts (that you can copy and paste) using the form at the bottom of this page. Not sure what to write about? The most effective topics are those that are pulled out of your readers (i.e., what they already want and need), versus those that are pushed on them (i.e. what you think they should read about). Use this script to pull great topics from your audience, whether they’re existing customers or not. It’s no secret that influencer outreach has been key to the growth of this blog. 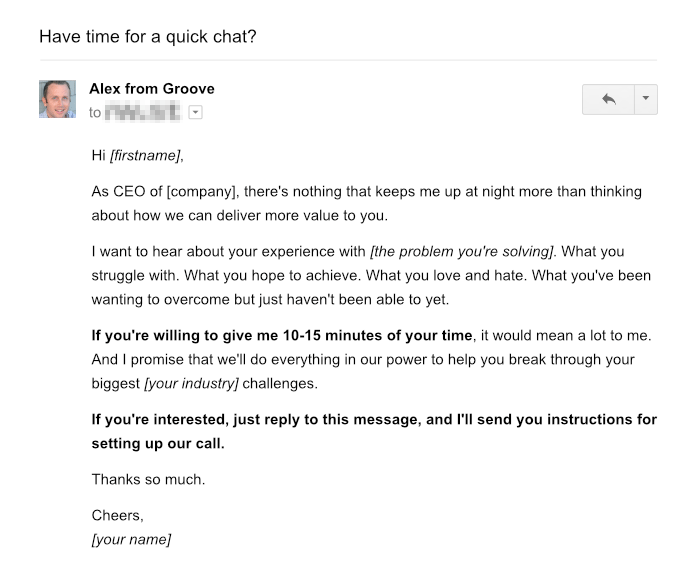 Use this script to reach out to influencers to get help with your content (and set yourself apart from the 99% of marketers who simply email with an ask “for a quick share”). 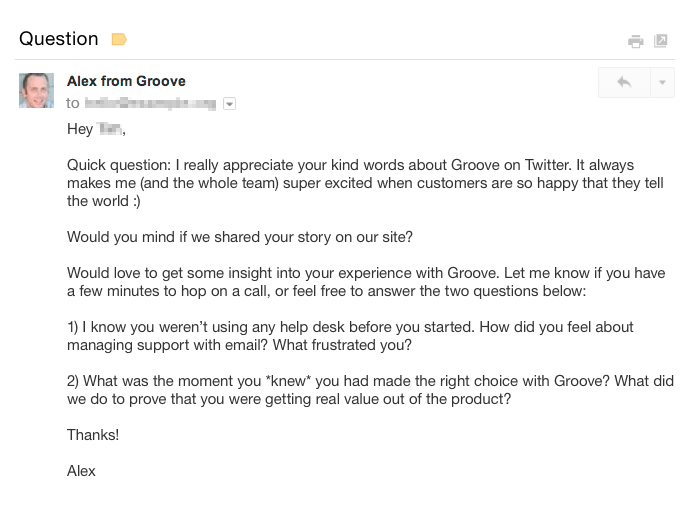 After getting feedback on your content, come back with an ask. Guest posting gives you access to large new audiences that others have spent years building. Use this script to build those relationships. 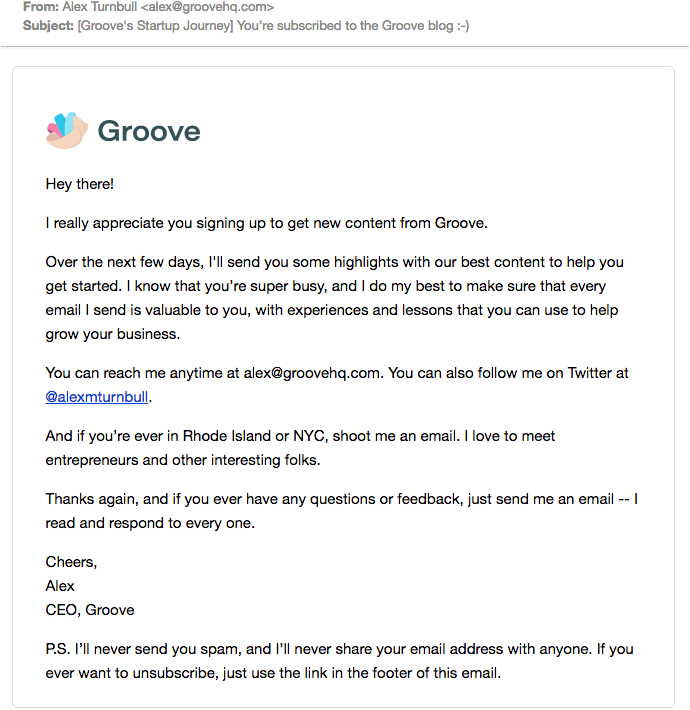 When a reader subscribes to your email list, your email autoresponder becomes responsible for nurturing them into customers. 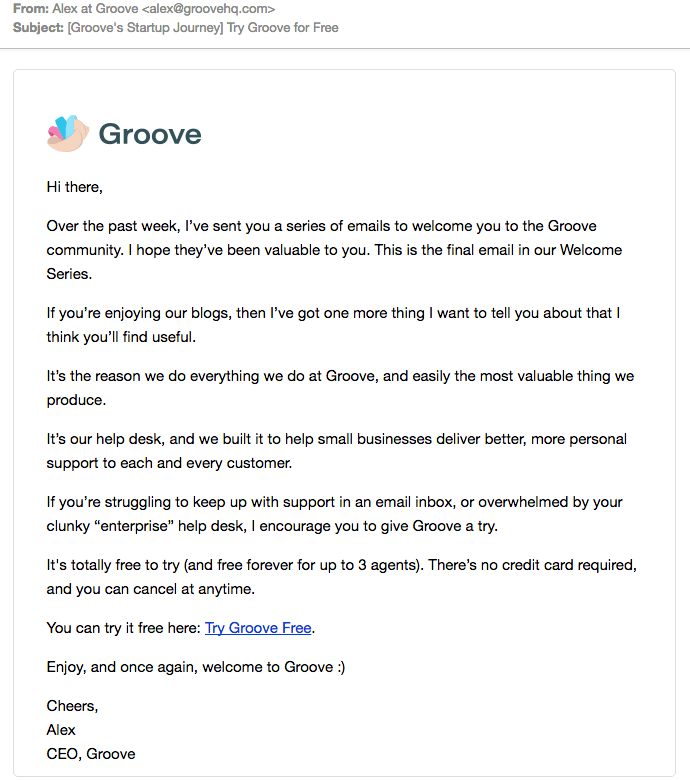 The first email should set their expectations for what they’ll be receiving from you, include a few personal touches, and show them how to unsubscribe. 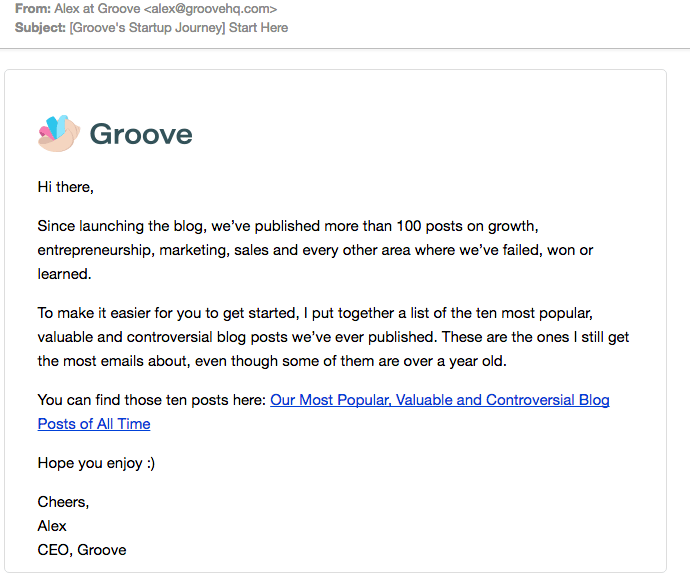 The next day, send an email with a link to your most popular posts. 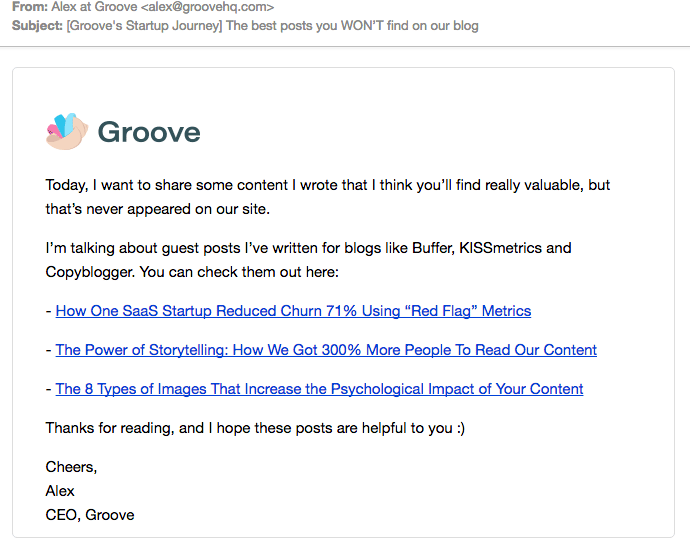 This makes it easier for someone new to your blog to dive in and start with the content that others have found most valuable. A few days later, follow up with links to some of the guest posts you’ve published elsewhere around the web. Finally comes the ask. Reiterate the value that you’ve delivered over the past couple of weeks, explain what your business is and does, and invite the subscriber to engage. When you’re first starting to build your business, use this script to validate your idea, collect feedback and better understand how to build the right solution for your market. If you already have a customer base, then use this script to set up calls with your customers to ensure that you’re keeping their real needs—and not just your assumptions—front and center. 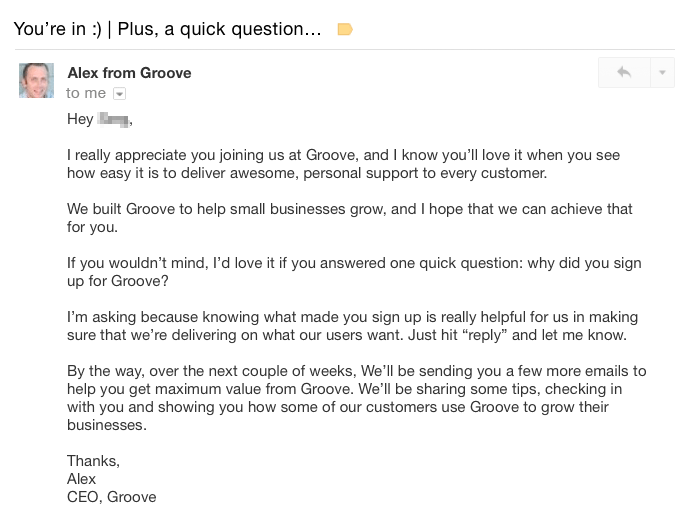 This email goes out to every single person that signs up for Groove. The insights we’ve gotten early on from the responses have been game-changing. We’ve been able to transform our messaging based on what we learned is most important to new customers, and we’ve been able to build deeper relationships with those customers by helping them with whatever unique goals or challenges drove them to sign up. Customers that are on their way out the door can offer incredibly valuable insight into what you can do better. 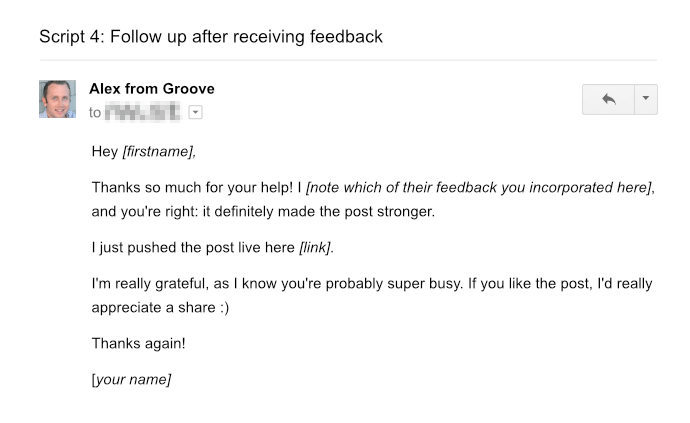 Use this simple email to collect useful feedback. Testimonials are a powerful marketing tool that give you credibility and help your prospects determine if your product or service is right for them. 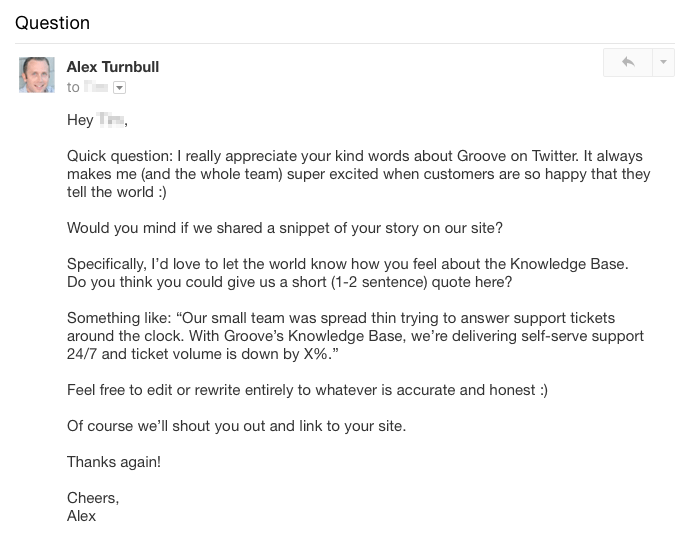 This script is useful when you’re looking to collect general testimonials. This script, on the other hand, is designed for when you need a testimonial to speak to a specific feature. 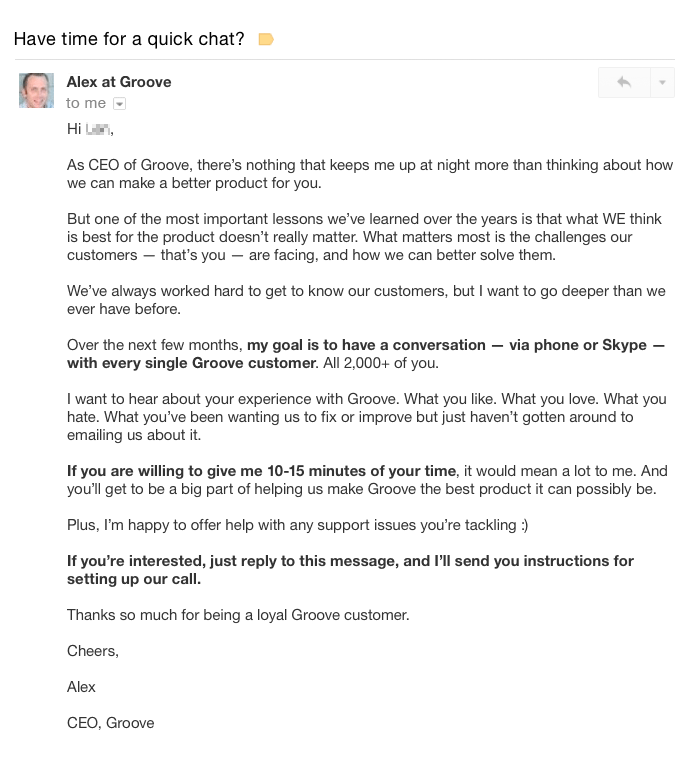 If you feel that your customer doesn’t have much time or isn’t too comfortable writing, consider this approach instead. 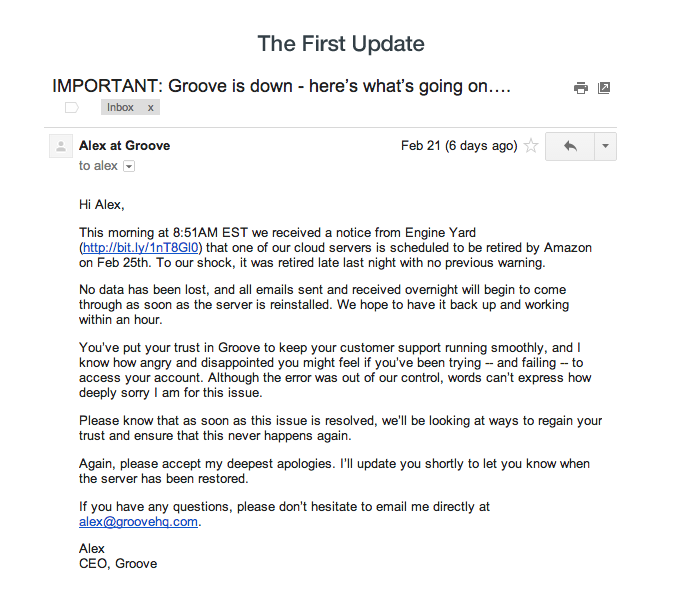 Send constant updates until the issue is resolved. And be sure to follow up once you’re back up with a deep, heartfelt apology and clear plan forward. 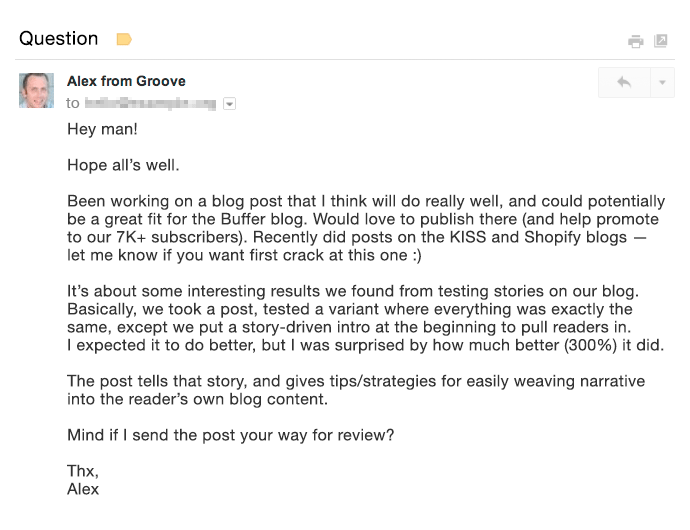 Sending effective emails is a critical part of doing business online. 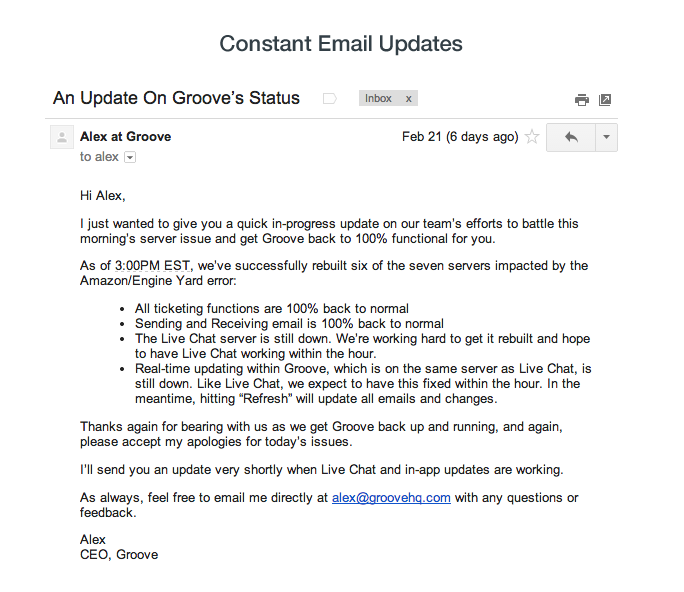 I hope that by pulling back the curtain on some of the emails that have worked best for us, this post helps you save time and get better results in your own email efforts.